Launched in 2014, BitCasino.io is one of the trendsetters in the Bitcoin gambling industry. It’s owned by mBet Solutions NV and operated by Luckbox Ent. Lt. They claim to be the #1 licensed Bitcoin casino, holding the license of the Government of Curacao. As a pure Bitcoin casino, it provides the advantages of gambling with cryptocurrencies, like instant deposits withdrawals and complete anonymity. In this in-depth BitCasino.io review, we’ll cover the main features that list this casino among the top-rated Bitcoin casinos at Bitfortune.net. So, here is our unbiased opinion on the most notable features of this gambling operator. BitCasino offers a unique collection of over 1,500 games. The games fall into several categories like roulette, slot games, table games, baccarat, blackjack, video poker, etc. Just like at mBit casino, the most recent addition on their website are bingo games. The slots section includes casino classics as well as jackpot titles and licensed franchises. Moreover, if you want a real casino feel, you can play various live dealer versions of fan-favorite casino games. All in all, every section features loads of different versions of one game, so there’s no way you’ll ever get bored. Besides a massive game library, all games at BitCasino run smoothly with optimal loading times. While playing games on their platform, we didn’t encounter any glitches, bugs or problems of any sort. Currently, there isn’t an active BitCasino.io no deposit bonus. However, there are other fantastic offers that you can take advantage of for fruitful Bitcoin gambling. If you are new to BitCasino.io, with the registration of your account, you’ll get a 100% first deposit match bonus. All you need to do is enable the option in My bonuses section and make your first deposit. This bonus will double the amount of it. For example, if you deposit m฿ 100, your balance will be credited with additional m฿ 100, and up to m฿ 1,000. 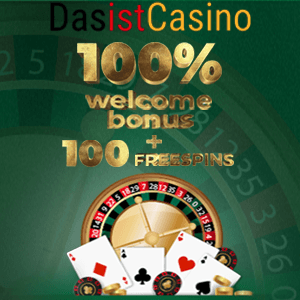 Note that, whichever bonus you claim BitCasino.io won’t grant you any free spins. However all the other bonuses more than make up for this fact. Similarly, for your second deposit, you’ll get a 50% match bonus up to m฿ 1,000. Furthermore, for each of the deposits that you make, BitCasino gives you a 25% reload bonus up to m฿ 1,000. Just an FYI, you can claim this bonus five times in one day. This casino has one of the best promotional offerings in the industry. If you don’t trust us, check the countless BitCasino.io Reddit threads; they state the same. Unlike other best Bitcoin casinos, BitCasino doesn’t feature a VIP section. All clients are treated equally on this platform, no matter how much they deposit or play. A nice refreshment that you won’t find on other Bitcoin casinos is the inclusion of a comprehensive sportsbook. Note that, if you want to place bets, you’ll have to register separately for their sportsbook. Unlike most online casinos, BitCasino doesn’t feature the design with predominant dark colors. If you remember our Bitstarz review, you’ll notice the slightly different design with bright colors and clearly defined sections. As noted in our mBit casino review, this makes the site easy to navigate and use. All the necessary buttons are clearly visible when you first enter their homepage. The info on your account is neatly tucked on the top right corner of the homepage. The center of the page is reserved for a grid that contains all the games you can find at BitCasino. Furthermore, the BitCasino.io mobile version provides an excellent experience for devices of all screen sizes. The BitCasino’s site is fully responsive and optimized without compromising the gameplay and overall performance. The casino offers almost instant deposits and withdrawals. Whenever you wish to deposit, just go to the top right corner of the page. In there, you can find a large orange deposit button. Once you click on it, you’ll be taken to the deposit page, where you’ll need to copy their wallet address and paste it to your Bitcoin wallet. The BitCasino.io withdraw process doesn’t take hours or days like on some other platforms. Instead, you will receive your funds in a matter of minutes. You can deposit using Bitcoin, Ether, and Sportscoin. For any question and doubt you might have, you can rely on the help of the experienced and kind customer support team. You can contact them instantly through the live chat, but we noticed that, currently, the live-chat button doesn’t work. However, you can send them an email and they will reply in less than 30 minutes. BitCasino uses SSL encryption to ensure the highest level of protection of users’ personal data and transactions. As some other BitCasino.io reviews stated, the team pays extra attention to the security of the sensitive data. Therefore, BitCasino guarantees that all data is used for providing the most reliable services and nothing more. Summarizing all impressions can sometimes be a hard job, especially when we have such a good casino on our hands. Note that, while BitCasino is not the best gambling platform on the market, it does offer many unique features that put it in the upper echelons. In this BitCasino.io review, we covered the top reasons why we consider it a reliable choice for spending quality online gambling time. From an extensive selection of casino games, rich sportsbook, incredible bonuses, and generous VIP program, BitCasino offers everything that novice and experienced gamblers may need.